As you may remember, my friend and mentor, Frannie Zellman, interviewed your favoritest author of all time (ahem, ahem). Now it's time for me to run screaming from the spotlight and turn that sucker directly onto Ms. Zellman. Below is an email interview we conducted and which I'm pasting in its totality, totally including awesome emoticons. If you, like me, find intriguing the concept of a sci-fi book that boldly addresses contemporary social justice issues, I urge you to hop on over and snag her two books: FatLand: A Novel and FatLand II: The Early Days. 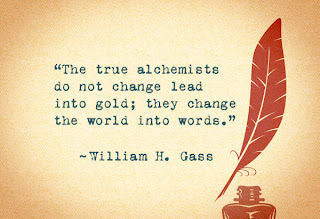 Then, after becoming hopelessly addicted to her minimalist-lush writing style (I still don't know how she does that), do yourself an enormous favor and check out Fat Poets Speak: Voices of the Fat Poets' Society, the poetry anthology she compiled and that contains several of her stunning poems. I hope you relish this glimpse into Frannie Zellman and her literary dexterity. What do voracious appetites, doctoral dissertations, pretty poems, and demonic possession have in common? That's right: Me! In her latest blog post, my friend and mentor, Frannie Zellman, features an interview with your favoritest author ever (I'm speaking of course of the famous and critically acclaimed Elle Hill). In the interview, we discuss my writing history, my childhood in a very Christian family, my poetry and doctoral dissertation, and the bubbling cauldron of politics that congealed into the Hunted Series' universe. Here are some excerpts from the interview. 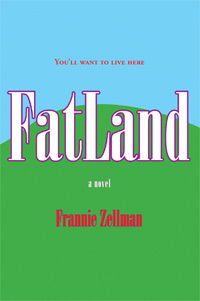 Please feel free zip over to the interview, paw through my history, and, while you're at it, take a tour through Frannie's blog for her new, amazing book, FatLand II: The Early Days. Which of my books do I like best? 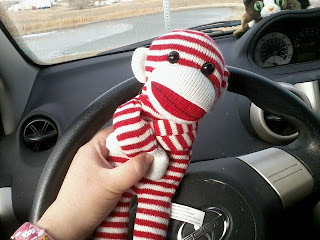 Only because I adore you so much, I am combining two blog posts. So, imagine your birthday is close to the holidays and your parents save a little bit of money by giving you one gift in the vain hope that somehow, this single, tiny present will satisfy all your greedy, holiday-related cravings for material crap. Yeah, this blog post is kind of like that. If you're anything like me, you see pleas to help animals every single day. Here's the difference between those posts and mine: I'm the one asking. An ex-student who lives in Southern California (Rancho Cucamonga area) contacted me after several years of silence and asked if I could help him with six adorable -- ADORABLE!!!!!!!!! -- bicolor kittens who were discarded. He can't keep them and doesn't want to take them to the shelter. If you can adopt or foster a kitten or six, please, please let me know. Thank you all so much! Writing is not only my craft but my passion. I derive enormous pleasure from toying with words, stacking and fitting them into sentences like Tetris blocks, all the while creating an inspiring and colorful geography. When I write, I am a master conductor, leading an orchestra in making auditory the universe of feelings; I am a painter whose colors stroke the eye, capture the moment, and challenge the mind; I am a teeny, tiny little god who uses a keyboard, black lines on a white background, and her imagination to spin two-dimensional worlds into being. As I delve deeper into this alien territory of self-promotion, it occurs to me how fun it would be to introduce my fourteen readers to my literary characters. 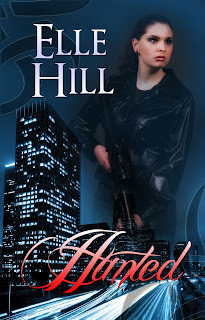 With that in mind, I decided to interview the three sheroes from the two novels and one novella I’ve published: Gray from Hunted, Serena from Hunted Past, and Katana from Hunted Dreams. I hope you come to love them, or at least find them half as compelling as I do. Q: Please state your full name and age. Gray: Gray, Daughter of Leigh. Thirty.Serena. My name is Serena O’Connell, and I’m twenty-nine years old.Katana: Katana, although it took me a heckuva time to figure even that out. I later found out I’m twenty-six. I’ve packed a lot of living in those few years. 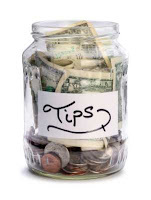 To tip or not to tip? No, that’s not the question. It shouldn’t even be posed in question form. In fact, let’s forget I ever asked. Okay, so here’s the thing: You should tip. No, really. And not just a measly buck or two -- kick out some substantial cash for your hard-working food servers, homie. You know those servers who balance all those plates and remember your order and keep your glass of Coke Zero filled and sparkly, all while pretending to smile and care that your mother birthed you X number of years ago? Those stalwart beings have to put up with cranky customers whose orders get messed up, folks who demand substitutions in everything and then complain about their food taking too long, and people who don’t feel waiters and waitresses are worthy of the social graces we usually afford others in social situations. All while remaining on their feet for eight hours straight. Let’s show ‘em a little love.